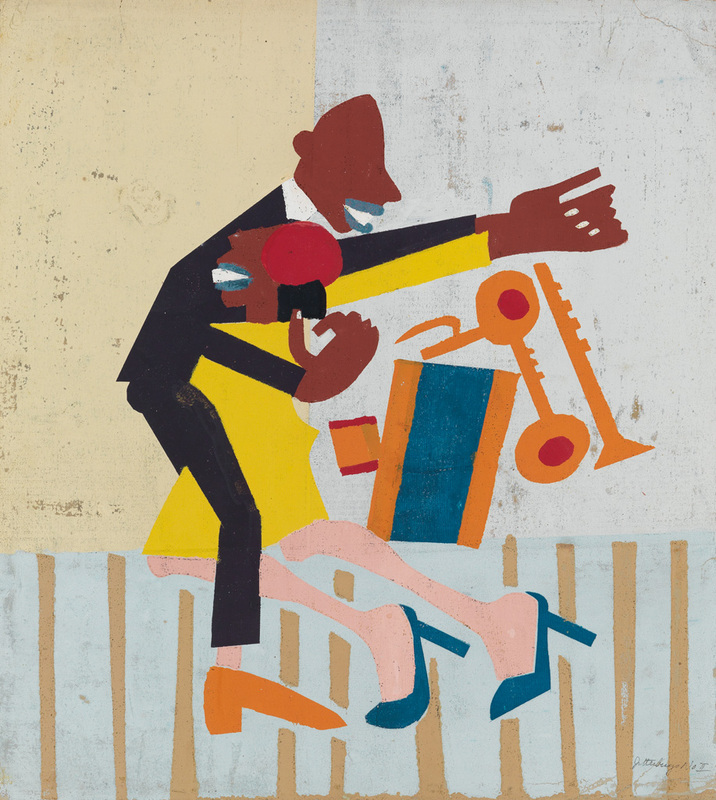 Highlights from our upcoming selection of fine art by African-American masters. Works by figurative greats include the earliest sculpture by Elizabeth Catlett to come to auction: Head, 1943, a bold, modernist carving of a young man, and one of only two known stone pieces from her seminal 1940s period. Also in the sale is the artist’s last sculpture, made in collaboration with her son, David Mora Catlett, El Abrazo (The Embrace), 2010-17, depicting a couple, carved in Guatemalan wood. 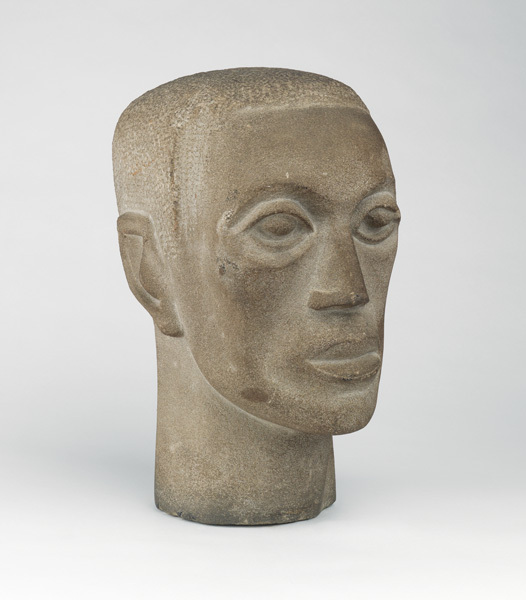 Lot 20: Elizabeth Catlett, Head (Head of a Man), carved stone, 1943. Estimate $200,000 to $300,000. 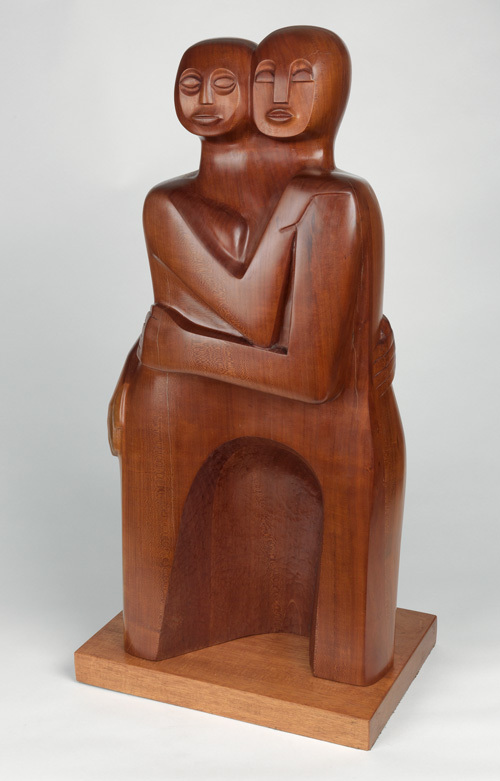 Lot 181: Elizabeth Catlett & David Mora Catlett, El Abrazo, red mahogany, 2010-17. Estimate $150,000 to $250,000. 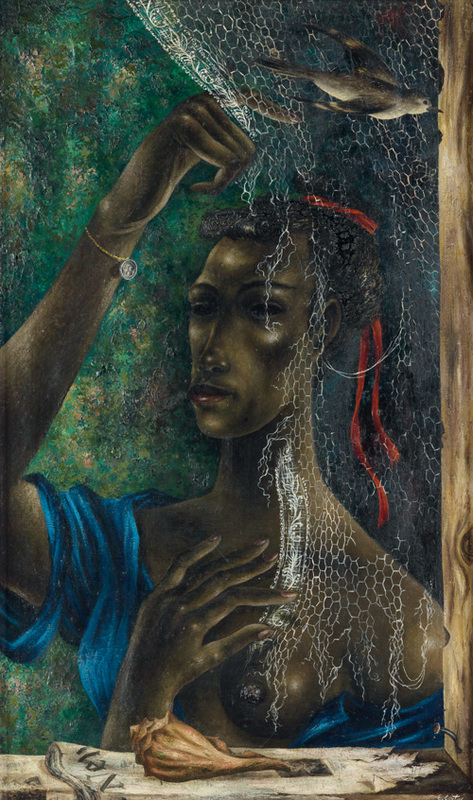 Lot 25: Eldzier Cortor, Sea of Time, oil on canvas, 1945. Estimate $200,000 to $300,000. A remarkable Beauford Delaney painting from 1940 depicts the artist with a friend in an unusual self-portrait. 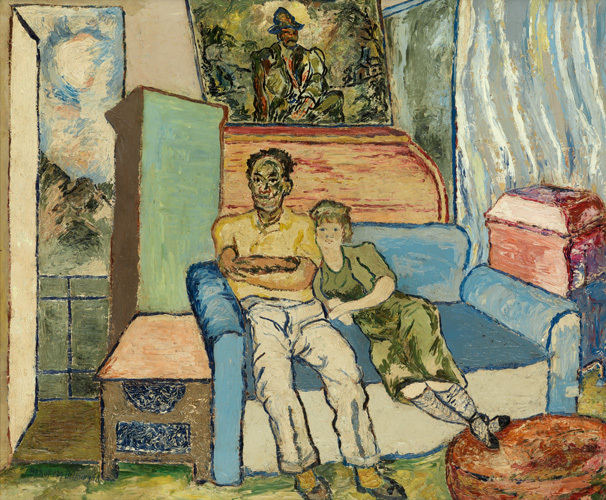 Lot 17: Beauford Delaney, Untitled (The Artist and Woman Seated), oil on canvas, 1940. Estimate $200,000 to $300,000. 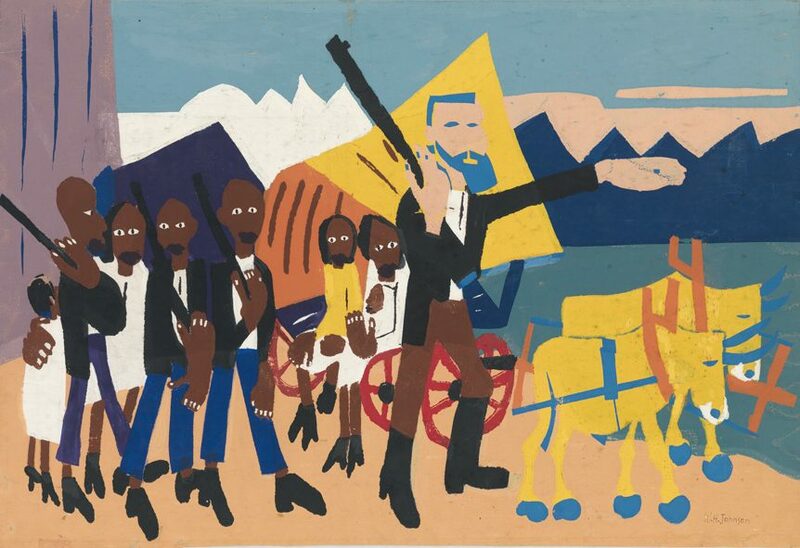 Lot 28: William H. Johnson, On a John Brown Flight, screenprint & pochoir, circa 1945. Estimate $50,000 to $75,000. One of Hughie Lee-Smith’s best-known paintings, Man with Balloons, 1960, will be featured–a significant work in the artist’s investigation of isolation and modernity. 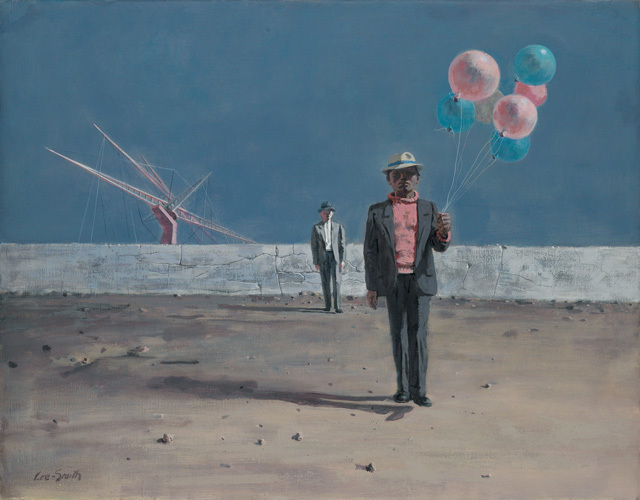 Lot 63: Hughie Lee-Smith, Man with Balloons, oil on canvas, 1960. Estimate $150,000 to $250,000. 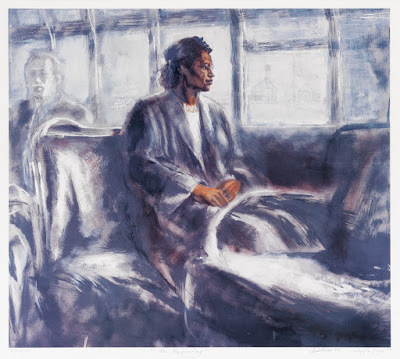 Another striking highlight is Charles White’s nearly abstract charcoal drawing Nobody Knows My Name, #1, 1965, which was exhibited in a solo exhibition in New York the same year. 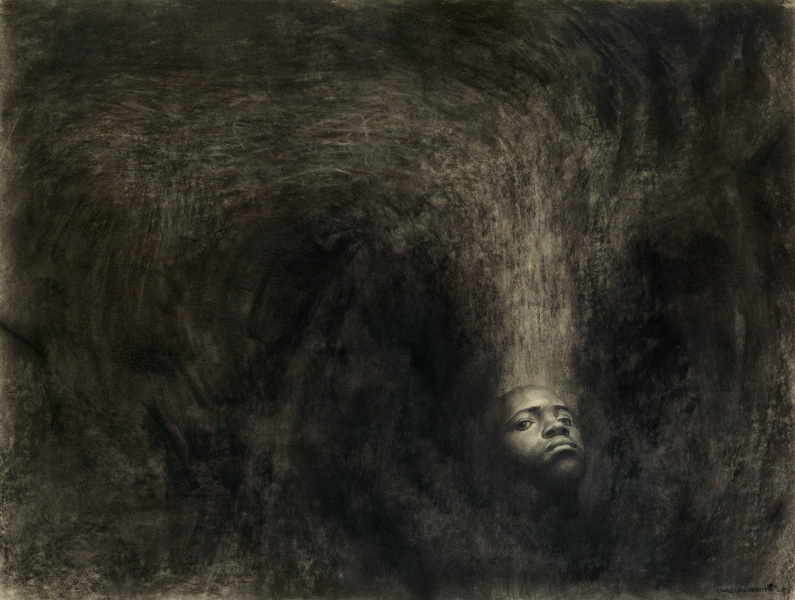 Lot 78: Charles White, Nobody Knows My Name #1, charcoal & crayon on board, 1965. Estimate $100,000 to $150,000. Lot 124: Sam Gilliam, Blood Legacy, acrylic, gel medium and canvas collage, 1983. Estimate $80,000 to $120,000. 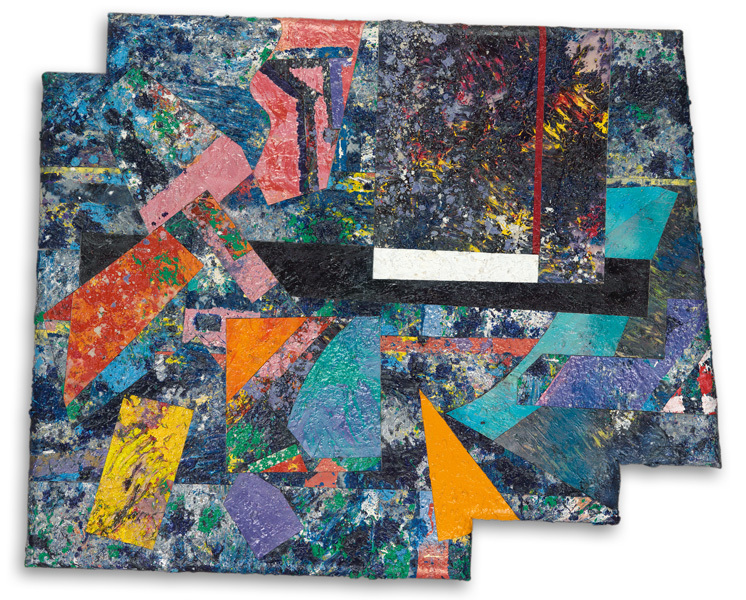 Among excellent abstract works are Al Loving’s earliest painting at auction, the 1965 Variations on a Square, and large, colorful painting-collages by Sam Gilliam and Noah Purifoy. 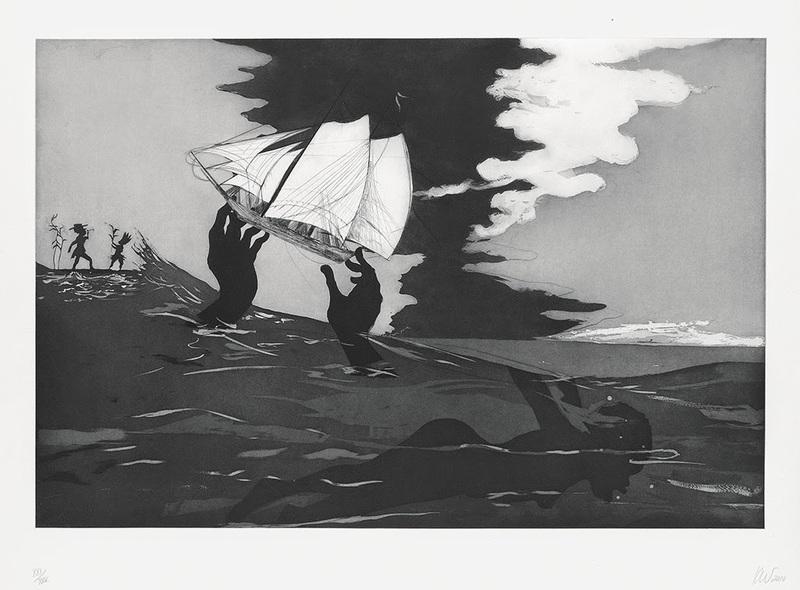 We are also pleased to feature The Dr. Robert H. Derden Collection of Contemporary Art, and works by Willie Cole, Robert Colescott, Rashid Johnson, Lorna Simpson and Kara Walker. 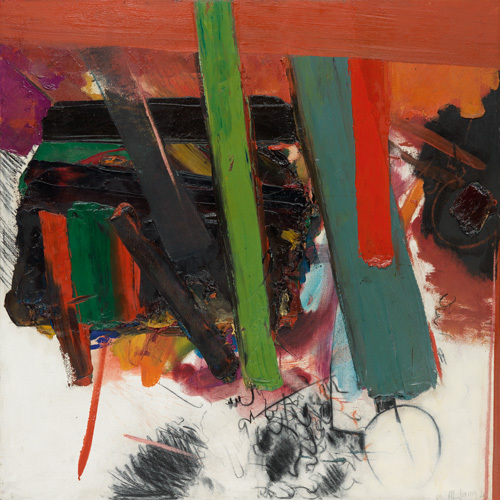 Lot 86: Alvin D. Loving, Variations on a Square, oil with charcoal on canvas, 1965. Estimate $80,000 to $120,000. 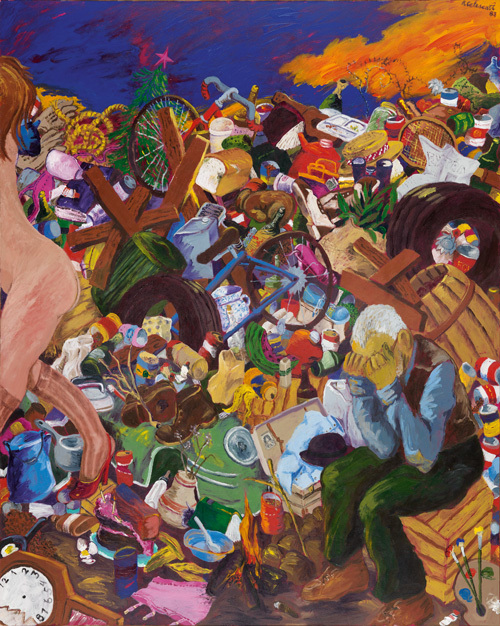 Lot 145: Robert Colescott, Down in the Dumps: So Long Sweetheart, acrylic on canvas, 1983. Estimate $35,000 to $50,000. 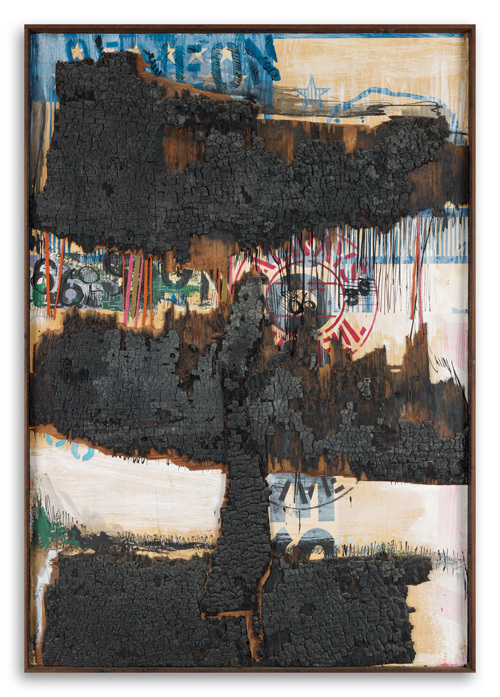 Lot 91: Noah Purifoy, Untitled (66 Signs of Neon), mixed media assemblage, circa 1966. Estimate $30,000 to $40,000.